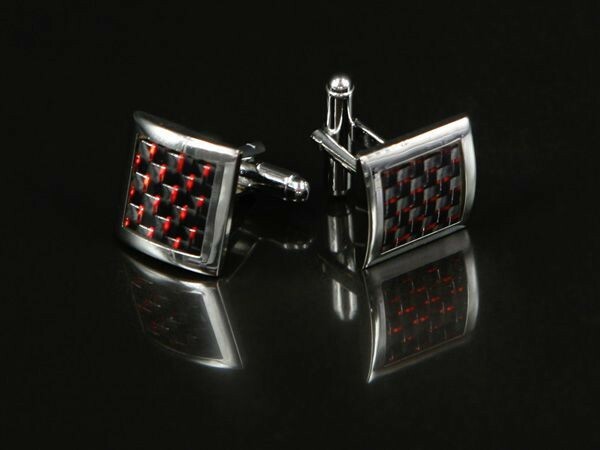 Rounded square cufflinks with black and red shimmering diagonal design. Rounded square cufflinks with black and red shimmering diagonal design. High quality glass finish, great with white / black colouring and can be dressed up or down to suit any occasion.